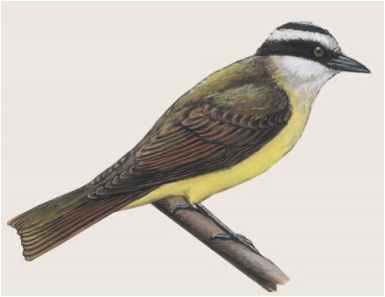 Physical characteristics: Great kiskadees, also called kiskadee flycatchers, are one of the larger, more colorful tyrant flycatchers. These birds are about 9.8 inches (25 centimeters) long. 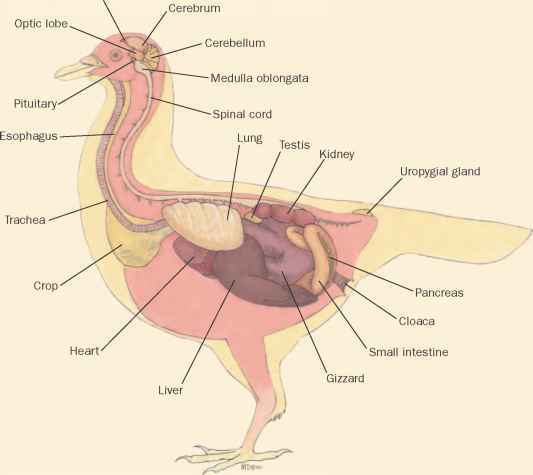 Males and females look the same. They have a black and white lined head, brown back and wings, white throat patch, and bright yellow undersides. 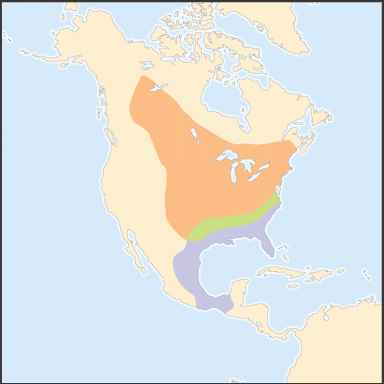 Geographic range: Great kiskadees are found in the United States in southwest Texas, and from northern Mexico through Central America, and in South America east of the Andes Mountains and as far south as Paraguay. Habitat: Great kiskadees live in semi-open country with scattered trees. They are often found at the edge of forests and along streams. Diet: Great kiskadees eat insects, but also will eat small fish, tadpoles, lizards, and mice. They will dive into the water after food, which they bring to their perch and beat against a branch until it is dead before tearing it apart. If they cannot find their preferred food, great kiskadees will eat fruits and berries. Behavior and reproduction: Great kiskadees are aggressive and will chase larger birds out of their territory. These are large, active, noisy birds with a loud, harsh, call that sounds like their name. They mate with a single partner and build round nests on trees or utility poles. The female lays two to five eggs, two or three times a year. The young hatch in about two weeks and are fed by both parents before they fledge, grow feathers, and leave the nest about three weeks after birth. Great kiskadees and people: Great kiskadees are often found around houses and gardens. They are common in many areas, but do not have a special significance to people.